My daughter, Lily, is going to be heading back to school next Monday. She'll be in the 3rd grade. We got most of our school shopping finished, just need to get some new shoes now. Every year, Lily picks out some pretty cute animal-themed shirts. This year, she's got one kitty shirt and one pug shirt. She adores pugs and this is her 2nd pug shirt. Her notebooks from last year are also adorned with several pug stickers. We found these pawsome shirts at Target. What a lovely child! 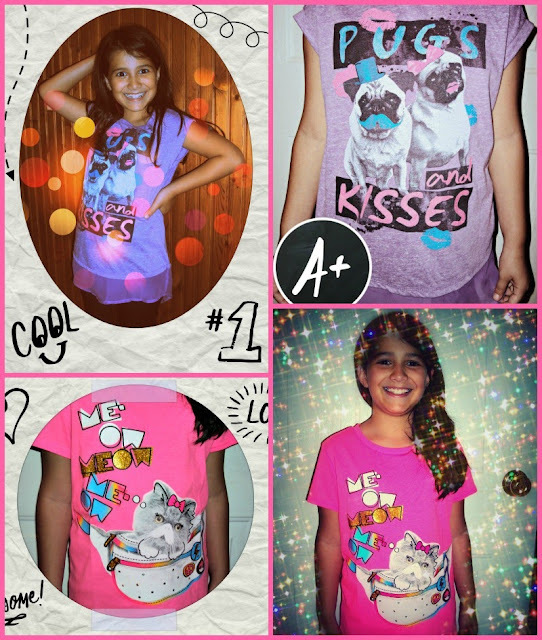 Love the pug and cat shirts. We recently saw an 'angry cat' shirt which read "I had fun once, it was awful" that was cute. Would Lily be willing to wear a chihuahua themed shirt? we're cute too you know! WOOF WOOF! Oh yes PB, she definitely would wear a chihuahua! She likes the Beverly Hills chihuahua movies. Besides cat and dog shirts, she also has some parrot shirts because she loves birds too. Can you wait for my mom - she would like to come with you for the shoe-shopping :o) Pug-shirts are great - they always look very funny and you can find a lot with different themes. Lily looks lovely. 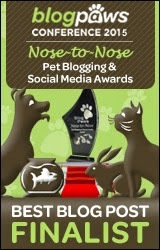 We know all the pug/kitty people are going to be cooing over those. Nice one Lily. Have a wonderful Wednesday. Lily is adorable! So glad she's turning into an animal lover just like her mom! You sure look ready pretty Lily!!! what a doll baby she is and I LOVE those shirts she picked out. She is gonna rock third grade for sure! Best of luck to her in the new school year! Lily is a very pretty girl who has great taste in back to school clothes. What a cutie. That looks like a fun T-shirt. Oh those are some great shirts. Good job picking them out Lilly. Love the animals theme. Take care. Great shirts. Mommy wants to know if they come in adult sizes too. 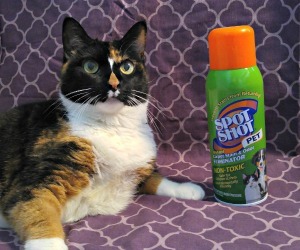 Please tell her no! Have fun in school, Lilly. You'll be the best dressed girl! She's a natural and those shirts are cool! 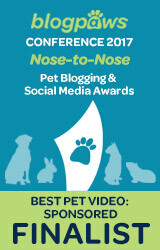 We nominated you for an Award on our Blog Post tomorrow - check it out. Super CUTE shirts!!! Enjoy the new school year! Lily is beautiful! She looks very cute and confident in her animal-themed tops. Good luck, Lily. I hope this is your best school year ever. Awww!!! What a lovely model, and such a smart girl to pick such sweet outfits! Precious,...your daughter and the shirts! You have a daughter too? I didn't know that!